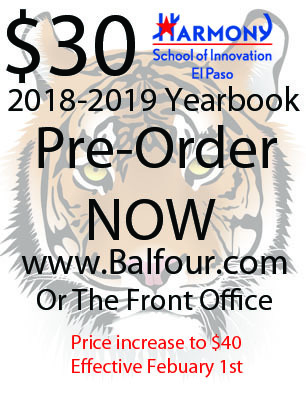 Pre-Order Your 2018-2019 Yearbook Now! https://harmonypublicschools.network/hsielpaso-new/wp-content/uploads/sites/123/2017/10/HSI-El-Paso-white-letters-300px.png 0 0 cnielsen https://harmonypublicschools.network/hsielpaso-new/wp-content/uploads/sites/123/2017/10/HSI-El-Paso-white-letters-300px.png cnielsen2019-01-22 10:42:062019-01-22 10:42:06Pre-Order Your 2018-2019 Yearbook Now! January 16, 2019, Tiger News! Bilingual/ESL Teaching Positions Open Year Round!